1. Maria Matilda Gordon was born on 4 June 1817 on the military transport vessel Matilda during a voyage from Cork, Ireland to Australia with her father's 48th Regiment of Foot. She was baptised on 4 May 1823 at Newcastle, NSW 18 and died 4 June 1882 1 and was buried in Campbell's Hill Cemetery, Maitland, NSW, Australia. From at least May 1837 to June 1842 she had a defacto relationship with Frank Adams, a son of Henry Cadwallader Adams and Emma Curtis born in 1809 in Ansty, Warwickshire, England and died on 19 Sept 1869, then a Captain in the 28th Gloucestershire Regiment of Foot 1. Maria subsequently had a defacto relationship with an unknown from which there was one issue. On 17 Mar 1849 she married in the Church of England at Maitland widower James Fullford who was born ca. 1815 in Deptford, England and died on 5 Jan 1880 17 at Maitland, NSW and was buried Campbell's Hill Cemetery. From a five year defacto relationship with Frank Adams Maria had two sons who whilst christened under the Gordon surname used Adams as their surname. About three years after the birth of the second son Maria had another child also born out of wedlock who was to be her only daughter. There appears to be no church baptism record for this daughter so her father's name is unknown. The daughter's 1873 church marriage register record gave her then age as 27 years indicating a birth during the second half of 1845 or first half of 1846, a time-frame confirmed by 76 years of age given in her 1922 newspaper death notice and the same inscribed on her Rookwood Cemetery headstone. These 49 years apart records indicate Maria's daughter was born in the second half of 1845 or first quarter of 1846 thus it follows it was not possible for her father to have been Frank Adams as he left Australia for India over three years earlier in June 1842 and never returned to Australia. Frank Adams was the second son of Henry Cadwallader Adams and Emma Curtis (a daughter of Sir William Curtis) of Ansty, a village in the Folshil district of Warwickshire, England located about 7 kilometres NE of Coventry. They had five boys and four girls 15. He arrived with the rank of Captain in Sydney with his regiment the 28th Regiment of Foot on 23 August 1836 on HMS Rattlesnake after first having made landfall in Australia at Hobart Town on 30 May to offload convicts 3. In November that year he was stationed at Bathurst and in December at Emu Plains. From January 1837 he was at the Brigade Office in Sydney and for the three months from 1 June to 31 Aug 1837, during which Maria's first child Frank Jr. would have been conceived, he was Aide-de-Camp to the Governor of the colony Sir Richard Bourke. In that capacity he would have spent much of his time at Government House at Parramatta a little over a kilometer from where the Gordon family resided. After rejoining his 28th regiment he was stationed at Parramatta where he and Maria became embroiled in a scandal that erupted publicly after he was challenged to fight a duel. Duels were a breach of the peace and illegal in the colony. Frank Adams rebuffed the challenger (Mr. Catterell) who then affixed a placard to a fence outside the main gates to Government House highly defamatory of him. An extraordinary legal senario ensued, that instead of following the normal course of a reputation injured person seeking a remedy by instigating a civil action for defamation seeking damages, instead upon complaint to the Supreme Court by Frank Adams that an attempt had been made to incite him to fight an illegal duel the then Attorney General of the Colony, acting as Frank's personal legal representative when the matter came before the Court and it found a prima facie case was established that Frank Adams had been challenged to fight an illegal duel, was then in his official capacity as the senior crown law officer of the colony obliged to act to instigate a criminal prosecution against the duel challenger Mr. Catterell for inciting a person (who in the Attorney General's private capacity was his client) to commit a breach of the peace! Given the prominance of the persons named as in some way involved in the matter, such as the Governor of the colony Sir Richard Bourke and the Deputy Governor and Commander of the 28th Regt. Lieut. Colonel Cudbert French, and the salacious nature of the allegations contained in the affidavits not surprisingly the case was well reported by all Sydney newspapers and possessed of such elements would no doubt have been the subject of widespread gossip and interest as to the identity and unmarried status of Maria Gordon she being the daughter of Ann Gordon who until twelve months previous had been the longest serving Matron of the Parramatta Female Factory from where the masters and mistresses of the colony obtained their female domestic servants. From Jan 1838 to the end of May 1839 Frank Adams was stationed at Maitland and, after a month in Sydney, for the next eight months from July 1839 to Feb 1840 at Illawarra 4. It is said he obtained a grant of land at West Maitland at Horseshoe Bend upon which he built a hotel in 1840 named the ‘White Horse Hotel’ 16. Frank Adams left for England on leave from the regiment on 24 March 1840 on the Trusty 5. After two years absence from the colony he arrived back in Sydney on 7 March 1842 on the barque Maitla that had left the Downs on 26 Oct 1841 6. The reunion with Maria, and then 4 year old son Frank Jr., must have occurred very soon after the ship was released from quarantine as the next child Arthur was born nine months and 4 days later. However Captain Frank was not around for that happy event as after only three months back he departed Australia with his regiment for India destined to never return. He left Sydney on the 19 June on the Kelso in company with two other regimental transport ships the John Brewer and the Arab 7. It was probably fortunate for Maria they did not marry as she and Frank Jr. would have accompanied him to India and likely perished there soon after arrival as after the arrival of the regiment in Bombay the losses from disease of officers, other ranks, and their women and children were massive and included the commanding officer Lt. Colonel French. After two years in India Frank Adams married on 16 Sep 1844 at Poona (now Pune 75 miles SE of Bombay) a widow Ellen Straith and they had a family of five children 15. After the tour of duty in India the 28th regiment returned to England in 1848. 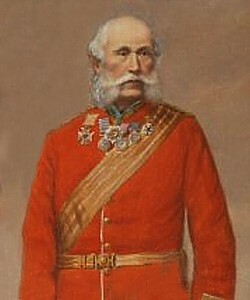 From 1857 to 1865 his regiment was again in India and in 1866 relocated to Ireland. He was in command of the regiment in the Crimean War where it took part in the eleven month siege of the town of Sebastopol. The 28th was present when the allied bombardment of Sebastopol commenced on 17 Oct 1854 and it participated in the 8000 strong British force which repulsed the 60,000 strong Russian attack on the 5th Nov 1854 resulting in the Russians retreating later that same day leaving behind 15,000 dead and wounded. Following the declaration of peace in March 1856 the 28th regiment left for Malta on 24th May. By 1857 Colonel Adams had been honoured by the monarch with a CB (Companion of the Order of the Bath) and by the French government with the Legion of Honour. He achieved the rank of Major-General but it is not known when he left the 28th to take up the higher command. He died aged 60 on 19 Sept 1869 whilst on a voyage home to England 15. In a 25 Jan 1888 letter to Maria's sister Letitia Garmonsway in New Zealand Maria's niece Ada Gordon wrote of her ex-48th regiment soldier grandfather Robert Gordon - ‘I remember your father then showing me pictures of the Crimean War and the state of excitement he got into over at a battle on paper, he treasured up all these old illustrations for his grandchildren's benefit’. No doubt Robert Gordon intended them to be primarily for the benefit of his two born out of wedlock Adams grandsons. With Frank Adams married and in England with his regiment Maria Matilda in 1849 married widower James Fullford. He was a former convict who had been sentenced to 14 years transportation at Surrey Court on 27 May 1833. The old Surrey Court of Quarter Sessions where his trial took place was in Sessions House in the Newington district of South London, near the Elephant and Castle pub, about 4.5 kilometres from Deptford and about 2.5 kilometers from the Houses of Parliament. James left Portsmouth on 4 July 1833 on the Aurora (1st) and arrived at Sydney on 3 Nov 1833. The Aurora Indents listed his occupation as ‘errand boy’, his religion as protestant and, that he was 5ft. 2 inches in height, of ruddy complexion with brown hair and grey eyes, could read and write, and had been convicted for the offence of stealing a ring (value not given). Explaining the heavy sentence of 14 years transportation was that he had a former conviction for which the sentence had been 2 months so would have been classed as a recidivist. The Indents gave his age as 18 years indicating an 1815 birth year. This birth year is also indicated by the 25 years of age given in the 1840 Governor's permission for his first marriage 8, 9. However 1816 is indicated by 63 years in the Maitland, NSW registration record of his 5 Jan 1880 death. The Indents have his native place (birth place) as Deptford located on the river Thames about 6.5 kilometers from London Bridge. Henry VIII established a Royal Dock there at the beginning of his reign. When James Fullford was born Upper Deptford was in the ecclesiastical parish of St. Paul and Lower Deptford in St. Nicholas. The names of James Fullford's parents are not known. The NSW BDM Indexes indicate they were not provided by the informant in 1880 when his death was registered. At the time of this compilation the 1841 census was available on CD-ROM and on microfilm but has not been indexed for Deptford. The index for the 1851 census lists none of the Fullford or Fulford name variant in Deptford or neighbouring areas indicating by then his parents had moved elsewhere or were deceased 10. Upon arrival in Sydney in 1833 James stated he had a ‘uncle, W. N. Price, in Van Diemen's Land, 14 years ago’. This suggests his mother's maiden surname was likely Price. Presumably the ‘14 years ago’ was intended to mean the uncle had arrived in Tasmania as a convict about 1819-1820. If so there are several candidates. Five named William Price are listed in the ‘Alphabetical List of convicts on transports 1788-1823’ as arriving in Australia in 1820-1821, of whom two were listed in the Indents with London as their native place. Perhaps the most likely of the two is a lamplighter aged 16 years when sentenced on 26 May 1919 at Middlesex Gaol Delivery (the Old Bailey) to seven years transportation, thus born ca. 1802 so he could have been a younger brother of James Fullford's mother. He arrived in Sydney on 30 Sep 1820 on the Guildford (4th) and left 10 days later for Hobart Town in Tasmania 11. Another possible candidate for the uncle was London born William Price who was given a life sentence on the 8 Apr 1812 at Middlesex Gaol Delivery. Aged 21 years, he arrived on 11 Jun 1813 on the Fortune (2nd). He was pardoned on 4 Jun 1819 - 14 years before James arrived in Nov 1833. However at the time of the pardon whether he was in Tasmania was not recorded 12, 13. James Fullford's ticket of leave was issued on 12 Dec 1839 1. With the Governor's consent he married nineteen year old Grace Sophia Hartely (sic) on 28 July 1840 in the Church of England at East Maitland. Their signatures in the church marriage register were spelt as Fullford and Hartely. This first person record establishes James spelt his name as Fullford. Whether Grace's surname was spelt as she signed is questionable. There was a William Hartley (sic) noted in West Maitland in 1846 who could have been her father or a brother. He was mentioned in a court case involving the malicious killing of one of his suckling pigs reported in the Maitland Mercury newspaper of 12 Feb 1846. Grace's Hartley surname is contradicted in the 22 July 1873 record of the marriage of her daughter Amelia where it was given as Worth (or North). 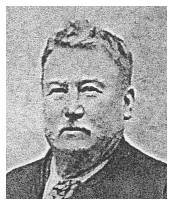 James and Grace had four children:- James (1841-1922), who was Mayor of West Maitland for 2 years from 1880 to 1881, and for a period a member of the NSW Legislative Assembly. George (ca. 1842-1896), William Ralph (1847-1882), Amelia (1846-1924) - Mrs. Henry Robert Guest of Narrabri, NSW. After the death of wife Grace on 22 Oct 1848, who is buried in St. Peter's (Old Glebe) Cemetery at East Maitland, James married Maria Gordon on 17 Mar 1849 in the same parish church in which he had previously married with the same minister officiating. Witnesses were Maria's brother Henry Gordon and her niece Jessie. The couple had five children. Their baptisms have the surname recorded in the church parish baptism books as Fulford, although likewise to their father the children spelt their name as Fullford. Occupations followed by James Fullford, as derived from the church baptism records of several of his children, were a carpenter in Jan. 1842, a baker in May 1844, and again in Feb. 1846 when his place of residence was recorded as West Maitland, a publican in Dec. 1847 and Inn Keeper in March 1857. His son Henry's 1933 obituary gave the names of West Maitland hotels he had owned as the Belmore, Northumberland and Fullford's Family Hotel. No doubt Fullford's would have been the last. However the local newspaper list of publican licenses granted for each upcoming licensing year that commenced on 1 July, and published annually in mid April, indicates that over the years there were a remarkable number of Maitland hotels of which he was licensee. Just by 1856, when he was aged only 40, they had numbered seven! The first full twelve months license granted was for the "Prince Albert" at East Maitland in 1848 and again in 1849. From then the hotels were all at West Maitland and were - the "Golden Crown" 1850, "Rose and Crown" 1851, "Commercial Hotel" 1852, "Sportsman's Arms" 1853, "Birmingham House" 1854, "Sir William Denison" 1855, and in 1856 same again with its name changed to "Rose Inn". In 1855 the chief constable unsuccesfully objected to the license being granted for the "Sir William Denison" on the grounds that it was a new public house and there were already more than sufficent (in 1853 thirty were noted in West Maitland and eleven in East). The 1880 newspaper funeral notice gave his residential address as High Street near Long Bridge, and a letter written by Maria in late 1881 to her half-sister Letitia Garmonsway in New Zealand only six months before she died, gave the senders address as ‘Ella Cottage’, Long Bridge. The Long Bridge was the name given to a very lengthy bridge built in 1834 across a gully known as Campbell's Hollow located at the foot of Campbell's Hill. Presumably the locality took its name from the bridge. Eleven of the twelve children comprising the three families of James Fullford and of Maria Gordon lived to adulthood. Remarkably five of the eleven married in 1873. In January that year William Ralph married in Sydney, and according to an 1888 Ada Gordon letter step-sisters Clara Adams Gordon and Amelia Fullford, respectively Maria's third child and the third from James Fullford's first marriage to Grace Sophia, when they married in Maitland in July did so in a joint ceremony wearing identical dresses - confirmed by the marriages having successive registration numbers in the NSW BDM Indexes. Around April/May Sidney Albert also married in Maitland followed by Frederick Gordon on 29 July. In total Maria's eight children produced at least thirty-nine grandchildren. Grandchildren of James and Maria who served in World War included Harry Fullford, who was in the 1st AIF at Gallipoli and died in Cairo in 1915, and Ralph Lionel Fullford (1892-1968), who emigrated to Canada before the war and served in France with the Canadians. Both were sons of Henry Charles 14. 9. v. John James Fullford - born 4 Nov 1860; died 6 Nov 1860. 1 From a printout of Gordon genealogy and vitals dated 10 Feb 1997 and an undated paper on Gordon family history, compiled by Russell Gordon of Sydney. Source references, such as name of the ship Frank Sr. died on etc. were in the main not cited. 2 Images of Frank Adams Jr., & Arthur Adams from a photocopy courtesy of Russell Gordon of Sydney. 3 Sydney Gazette, 25 Aug 1836 - arrivals - HMS Rattlesnake from Mauritius & Hobart Town - passengers included Captain Adams. 5 Sydney Gazette, 24 Mar 1840 - Frank Adams listed as a passenger on the Trusty due to sail that day. 6 Sydney Gazette, 7 Mar 1842 - Maitla passengers included Capt. Frank Adams and Ensign Brown from 28th. 7 Sydney Herald, Mon. 20 June - Kelso departed for Bombay yesterday - aboard Capt. Adams etc. 9 Applications to Marry 1837-1842, AONSW fiche #796 p. 167 - date of permission 16 Jul 1840 - James Fulford age 25 to Grace Hartley age 19, of East Maitland, a native of the colony. 10 1851 Census Index (North West Kent Family History Soc.). The unindexed 1841 census has not been checked. 15 1996 Letter from Pat Kiem née Adams to Russell Gordon - copy courtesy of Russell Gordon of Sydney. 16 From Memoirs of Wal Adams dated 1958, as transcribed from the original by Pat Kiem and provided courtesy of long time Gordon/Adams family researcher Russell Gordon. Compiler's Note: It seems unlikely the hotel would have been built as late as 1840 as Frank Adams left Australia on 24 March that year and was absent for the next 2 years. Also unlikely it was later as after returning in 1842 he was only in Australia for 3 months. It is likely it was built during the seventeen month period from Jan 1838 to end of May 1839 when he was stationed at Maitland rather than later when stationed south of Sydney. There was no license for a ‘White Horse’ hotel granted for the licencing year commencing from 1 July 1841 at West or East Maitland. It was not until 1850 that a license for a hotel with this sign was granted to a William Winter. The name of the licensee of this hotel, situated in High Street at West Maitland where Horseshoe Bend is located, subsequently changed each succeeding year through to the last checked for 1856. Likely the explanation of why Wal's father Frank Jr. told him the hotel built by Frank Sr. in 1840 was named ‘White Horse’ is that such was the name of its sign in 1854 when Frank Jr. left Maitland for the North West of NSW that year aged 16 years. Thus all Frank Jr. would have known was that the hotel built by his father circa 1840 was named the ‘White Horse’ when he left in 1854. At that time his mother and step-father had the "Birmingham Arms" in nearby West Maitland. It is presumed that for approx. a decade after its building by Frank Sr. the hotel would have been a signed other than ‘White Horse’. There was also from at least 1841 to 1856 a ‘Black Horse Hotel’ at East Maitland which co-incidently across those years had as its licensee a Henry Adams! Whether he was related to Frank Adams is not known. 17 The Maitland Mercury, 6 Jan 1880 - Local News - The Late Mr. James Fullford, - a very old Maitlander has gone to his rest. Mr. James Fullford, father of the Mayor of West Maitland, died yesterday afternoon, after a long period of paralysed existance, which was little better than death-in-life. 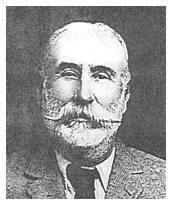 Previous to his seizure Mr. Fullford was an active and respected business man, who concerned himself chiefly in hotel busineses, and he had secured a comforable livelihood. He leaves a family of sons, of whom the Mayor, Mr. James Fullford is the eldest. Funeral Notice - The Friends of the Late James Fullford are respectfully invited to attend his funeral: To move from his late residence, High Street, near LONG BRIDGE, This day (Tuesday) at Three O'clock p.m.
18 NSW BDM Indexes V1817 6172 1B, baptised on 4 May 1823 at C of E, Christ Church, Hexham/Newcastle together with her brother Henry and sister Sarah.